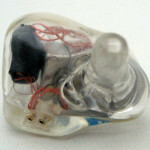 • S-EM6: The original had a black back plate, and is not available at this time. The Limited Crystal Edition has a clear back plate. • EM6: The EM6 is the customized version of the S-EM6, however the tuning is slightly different. EarSonics is an earphone manufacturer headquartered in France with origins in pro audio but broke onto the international scene in the past several years, mainly with the headphone enthusiast crowd. Their sound signature is rich, warm, and thick sound with a mid-centric sound that provides excellent imaging and enhanced bass with a great ability to recreate the ambiance within a recording. The sound signatures are somewhat similar to Westone, but with a different flavor, and preference can be quite strong either way. My high-end earphone journey took a turn for the better with the SM3 as I hadn’t experienced the combination of imaging and spaciousness before, which changed my perception of what was possible. 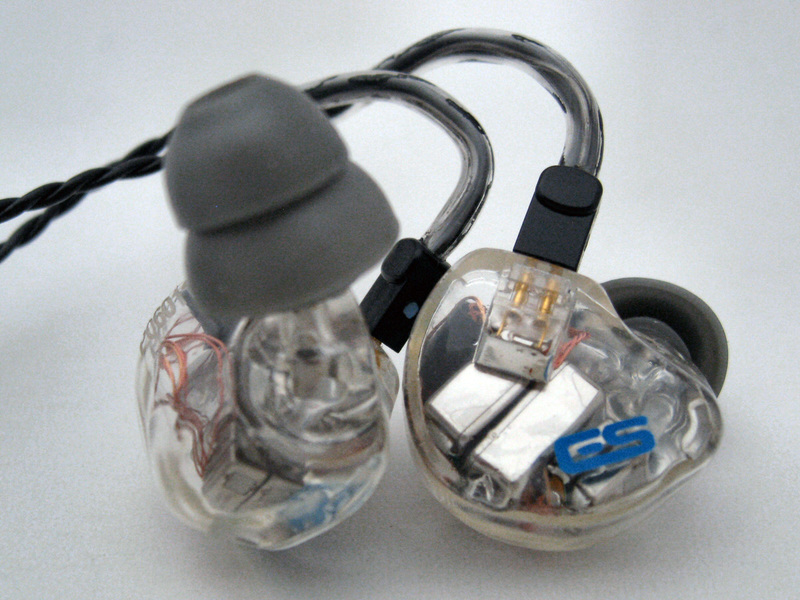 Following the SM3 experience, I got my first custom in-ear monitor (CIEM), the EarSonics EM3 Pro. Unfortunately, it didn’t live up to expectations based on the SM3 as the improvement was there, but not a significant amount. 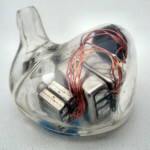 I have since reviewed several EarSonics products including the EM4, which was designed for audiophiles, and the SM64. Both perform well, but the EM4 veered a bit from the standard EarSonics sound in pursuit of the audiophile crowd, losing some of the qualities I was expecting. I had heard the flagship up until recently, the EM6, was a good deal better than the EM4, but hadn’t had the opportunity to hear it (the EM32 is the new flagship). 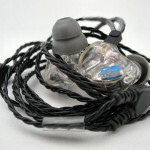 The S-EM6 was released, which is a universal fit version of the EM6 due to the increase in universal fit CIEMs, and EarSonics offered me the opportunity to review it. The S-EM6 is supposed to have a slightly different sound signature than the EM6, as can be seen from the EarSonics Sound Signature charts below. I have evaluated their charts here, although this was with my original S-EM6, which had issues as you will read about in a bit. I find it interesting to note that the S-EM6 sits atop their “audiophile” products, above the EM6, while the new EM32 sits atop their “musician” products. Initial reports are that the EM32 is very good in its own right, and possibly better than the S-EM6. But that is for another day. When I first received the S-EM6 I was happy that I was finally able to hear the EarSonics flagship product, even if it was in universal form. However, when I first heard it I was not impressed. I had some disappointments from my previous EarSonics CIEMs, and thought the S-EM6 was following suit, but this was another level. My reviews are based on describing the sound with scores for technical merit, and while the sound fell within my interpretation of the “EarSonics” sound signature, there were technical issues. For one, the treble was pushed quite far to the back of the presentation for an odd sound and the overall spaciousness was not impressive. 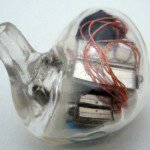 Coherence and transparency were also off from traditional EarSonics sound, which have always been good, and the overall performance was not indicative of the price point. I have plenty of experience with universal fit CIEMs and demo units of CIEMs, and I have yet to hear one that sounds as good technically as the customized version, but I have experienced a large variation in performance. This lead to an indifference, as I wasn’t sure if the S-EM6 was supposed to sound like it did or not. The sound wasn’t bad enough, except with the distant treble, to really think there was a serious issue. 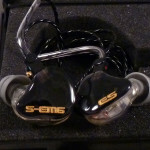 Before the S-EM6 came up in my review queue, EarSonics contacted me and requested I send the S-EM6 back as they found some issues with a limited run of drivers in the S-EM6. After returning my S-EM6, receiving verification there was an issue, and receiving a Limited Crystal Edition replacement, luckily the sound had changed dramatically for the better. If you are an owner of the original S-EM6 and believe your unit has an issue, contact EarSonics and send your back for testing. If there is an issue they will replace it for you. 1-year standard warranty on the shell and drivers. 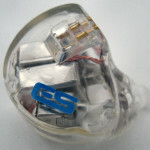 The S-EM6 uses a 6-driver, 3-way design in a solid filled acrylic shell with universal tips that fit the standard size EarSonics ear tips, which have a thin nozzle diameter. The cable is a detachable with flush mounted sockets. The S-EM6 comes with two cases, sanitary wipes, a cleaning tool and 3 sets of ear tips, all the same size. The two cases consist of a semi-hard zipper case included with their universal fit IEMs and the hard plastic case provided with their CIEMs. The cable is a standard 2-pin detachable black twisted cable. With a shell that is solid acrylic, it is very durable and can withstand a lot of abuse. The sockets aren’t recessed, but flush, most likely due to the size of the shell and the components inside. This puts more pressure on the pins than a recessed socket, and the S-EM6 arrived with the left channel pins slightly out of the sockets. The nozzles look very thin, but they are indeed strong enough to handle a short fall and other abuse with ear tips on them. (I am not going to test the breaking point!). 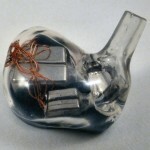 The clear shell of the Crystal version has a very nice finish with no air bubbles and is very symmetric and tidy inside. The original also had a good fit & finish, and both have solid construction. The S-EM6 is the universal fit version of the EM6 with small acrylic sound tubes that fit the stock EarSonics bi-flange ear tips. Smaller diameter ear tips fit on the S-EM6 nozzles such as Westone and Shure tips. While I initially had concerns with the durability of the small nozzles, they feel extremely solid when changing ear tips, instilling confidence. I tried a plethora of tips and settled on the included stock tips as they offered the best spaciousness while presenting with a good balance. 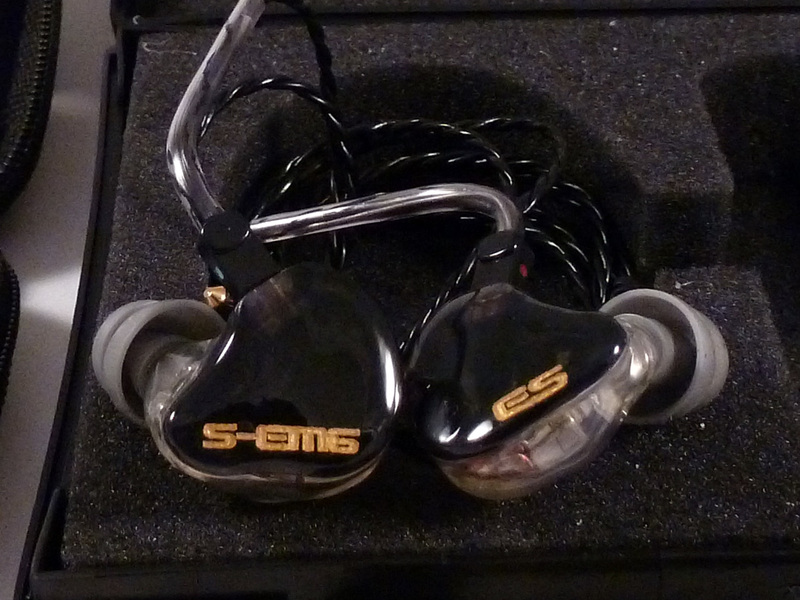 Using a spacer and triple flange tips, the S-EM6 became a bit more bass heavy and the soundstage was reduced in size. Foam tips provide better isolation and more bass while cutting the treble a bit and don’t quite have the soundstage size as the stock ear tips. The fit is acceptable, but due to the shell being smaller than my Concha Bowl, they don’t fit flush like a typical CIEM. This didn’t cause any fit or comfort issues for me, but my ears are on the larger side. 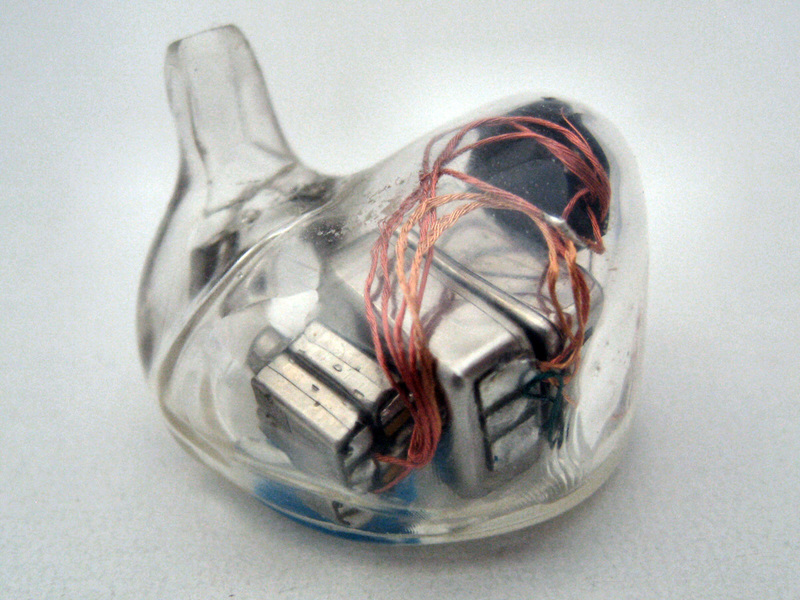 Isolation is similar to a typical universal fit in-ear monitor, which doesn’t isolate as well as a custom in-ear monitor. This may be in part due to the way the shell fits into my outer ear, but I also believe there are limitations due to the silicone ear tips as isolation changes with different types of ear tips. The stock ear tips provide a rating of around 3/10 on my isolation scale, with a score of a 5 being a standard acrylic shelled CIEM. The customized EM4 received a score of 8/10 for comparison purposes, and with foam tips the level is closer to a 5/10. The S-EM6 received 100+ hours of burn in as is customary before I do my serious listening. The following custom IEMs were used for comparison: AKG K3003, FitEar To Go! 334, EarSonics EM4, EarSonics SM64, Sennheiser IE800, and Rhines Audio Stage 3. Comparisons and source matching on page 2. Bass: The S-EM6 is a bit north of neutral in the bass region, and performance is dependent upon ear tips and insertion depth. In my ears, trying many different ear tips, the bass performed well for a universal but not up to par with a custom IEM such as the EM4. While reverberation wasn’t quite to the level of a dynamic driver such as the K3003, the control was much better. The drivers are very capable and can pump out plenty of deep bass, and I am sure the customized version (the EM6) will be able to please those that want more deep bass. Another option for more bass is changing ear tips, as triple flange tips provide more bass, but sacrifice some spatial qualities. Other ear tips may perform better and/or provide more bass. Quality is the best I have heard from a universal fit IEM using BA bass drivers. Midrange: While the overall presentation is laid-back in general, the midrange is the focus of the presentation, if just by a bit, as it is pulled slightly forward in comparison with the bass and treble. This is part of the EarSonics sound signature, but the spatial qualities are superior to that of the other universals, resulting in better overall sound. The presentation depth is great to go along with very good width, and imaging within is excellent providing a great sense of “space” that enters the territory of CIEMs, surpassing many. While the high level of detail isn’t brought to the front and articulated to the level of the To Go! 334 or K3003, but detail level and resolution are higher than both, integrated well into the presentation and creating an ambiance. 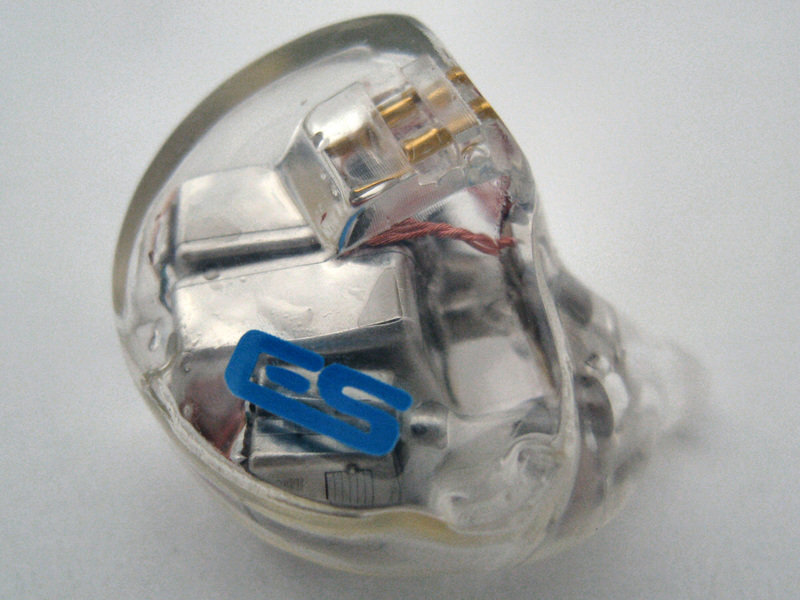 The midrange is a highlight of the S-EM6, if not the highlight and can be quite involving, and while there is a different balance from the Spiral Ear SE 5-way Reference, the qualities and performance reminds me of this high-performance CIEM. There is an excellent balance across the midrange resulting in a balanced and coherent presentation that is tonally “on” with both male and female vocals. Clarity is good, but due to the note thickness, isn’t the best I have heard in comparison with CIEMs, but I believe the overall sound is by design and not technically lacking. The midrange is a highlight, if not the highlight of the presentation and keeps very good company. Treble: The treble is balanced and detailed, with an analytical tendency that presents details more upfront than other EarSoncis products such as the SM3 and EM3 Pro, but isn’t as bright or sharp as the EM4. There is a forgiving nature due to the smoothness and linearity, and poorly mastered tracks don’t pose a problem. With good levels of detail, accurate note decay, and an excellent balance that isn’t too relaxed or forward, the treble finds a sweet spot. 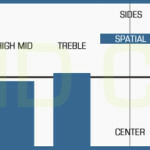 It is the best recreation of the treble region I have heard from EarSonics, although it won’t be called bright. Presentation: As described in the midrange section, the presentation is pushed back from the traditional forward EarSonics midrange, with a slightly more prominent midrange compared with the bass and treble. Frequency coherence is excellent, and the soundstage is cohesive and coherent, with no indication that multiple drivers have been used. Attack and decay are very natural with quickness when needed and possessing the ability to sustain bass notes. The presentation is on the thicker side, which is only due to the note thickness to a small degree, but is primarily due to the depth of presentation combined with the upper midrange and treble response as well as warmth. Transparency is excellent as the S-EM6 gets out of the way and adjusts to the music while imparting EarSonics magic on the presentation. Dynamics and punch aren’t lacking and fit well within the confines of the sound signature, but aren’t as exciting and punchy as others such as EM4 and K3003 to an extent. The S-EM6 puts together all the facets of the sound for an involving and engaging presentation that is musical above anything else. Volume performance: With a sound signature that is somewhat inverse of the equal-loudness curves, the EarSonics S-EM6 sounds different at very low volumes, as the bass takes a step back and lacks power. The midrange is clearly audible, but dynamics are lower, as is to be expected. Once the volume reaches a decent but still low level, the bass comes up closer and starts to kick in. At low-moderate levels the S-EM6 really shines and continues up to levels I don’t care to listen at. It retains clarity and is impressive at high volumes. Sound Summary: The S-EM6 is mid-centric with exceptional integration across the frequency spectrum leading to a full, clear, transparent sound that doesn’t lack anything. Vocals and midrange instruments are slightly emphasized while bass and treble are present but in no way overpowering or fatiguing. The S-EM6 performs at a very respectable level for a universal, but doesn’t quite compete technically compared with my top CIEMs. That isn’t to say the sound signature and performance don’t result in an extremely engaging sound, as the S-EM6 is very musical and involving. Detail levels are good, but can be bested, and dynamics are just good. The ability to recreate ambiance is excellent, and clarity is very good, especially considering the sound signature. The bottom line is the S-EM6 sound signature is very well put together and everything works synergistically. I have 2 questions, one not so related to this review. 1. I’ve seen contrasting reviews on the S-EM6. Some say it is really dark or ‘woolly’ such that detail retrieval is way below its price range. Some others, including yours, say the treble, while not bright, is still linear, smooth and detailed. What are your thoughts on this? 2. Are the images in THL website supposed to be automatically downloaded when clicked (instead of enlarge)? It is kind of annoying imo. And as always, thanks for your awesome reviews! first off thanks for the review. 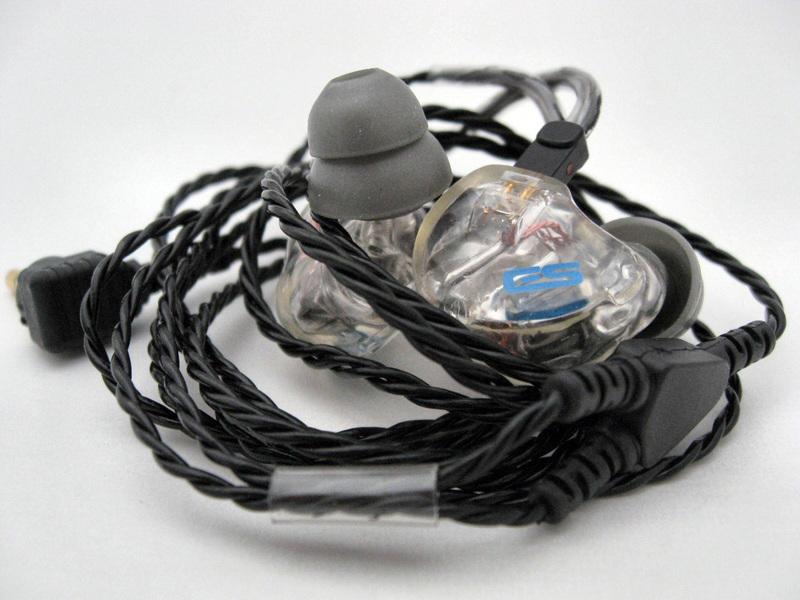 Considering that you have reviewed this IEM and a fair share of cable, what cables do you think would go along very well with the S-EM6? Great review. I want to ask , I heard lcd 3 sound and like it too much and bought one . In your experience are there any ciems or iems near the sound of Lcd 3? Thanks for reading! I have not yet heard the LCD-3, just the LCD-2. 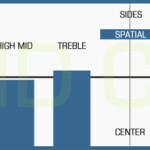 EarSonics products have a similar sound signature, but with a bit more mid-centric sound vs. mid-forward. The difference is mid-forward is when the entire presentation is from an up-close perspective while mid-centric is when the midrange is a bit more forward than the rest of the spectrum, highlighting the mids and vocals. I do think people that like Audeze sound will most likely like EarSonics sound. Also, please remember that there are inherent differences between headphones and CIEMs, with headphones having a larger overall presentation that is more out of the head while CIEMs typically are more detailed and have better imaging. I’d asked you for advice on head-fi before picking up the SM3 some 3 years ago and I’m glad I did because it still is my favourite IEM (having listened to nearly everything at the same level from Shure, Sennheiser, Westone since then). I’m looking to upgrade now and was wondering what you would suggest as an upgrade with a similar sound signature. I can’t decide between the SE846, the S-EM6 and the TG334. I think the S-EM6 is likely going to be the hardest to drive for a portable device (Wolfson Galaxy S3). I have auditioned the SE846 and found it to be better in some ways but something just felt off compared to the kind of smooth lush sound I like from the SM3. I’d still like to know what you’d recommend to someone looking to upgrade from the SM3 and looking for an upgrade. Thanks! PS. What do you think of the NuForce Primo8 as a smaller step up? Thanks for the question. The S-EM6 is a natural progression to the SM3, and the EarSonic sound signature is different than the others. The midrange area of the S-EM6 is something to behold and something that grabbed me without lacking anywhere else; the others, while good, don’t have the same characteristics. I have not heard the Primo 8, so I can’t say anything about that, but the reports are that it performs about as indicated by the price point. If you want great price for performance, the Perfect Seal line is quite good with a somewhat similar sound signature, but it too won’t have the vocal magic of EarSonics. 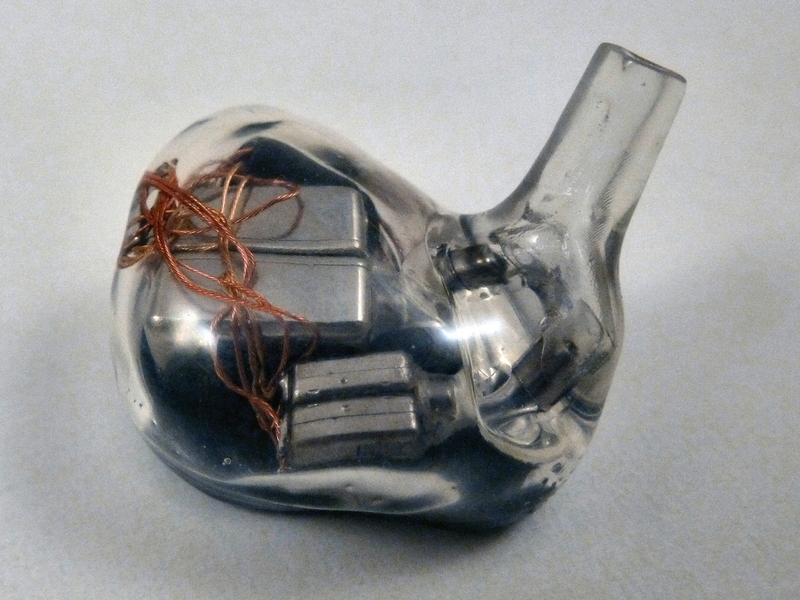 Most IEMs benefit from a better source, and typically higher driver count CIEMs benefit more. You will be leaving something on the table in all cases, but you will be leaving more potential untapped with a higher performer as there is further up to go from the limitations of the source. It may be worth getting an external Android amp/DAC for whatever you get. I am trying out the ADL X1, which improves my iPhone output a good amount. Thanks for the detailed response. I have been leaning towards looking at upgrading the source as well but I’ll do it in a staggered fashion starting with the IEMs and then adding the DAC/Amp. You pretty much have me sold on the S-EM6 because I don’t think I’ll be able to enjoy anything else without the wonderful ES sound signature and midrange. One last question, how is the SM64 as an intermediate step between the SM3 and the S-EM6? I heard the signature was slightly different for that so I never tried it. Thanks again. My comparative write-ups are on page 2 of this review, if you missed them. The SM-64 and S-EM-6 are both a bit more laid-back than the SM3, but still have the EarSonics flavor due to the midrange in relation to the bass and treble. So many other sound signatures are opposite or go for neutral. Something close, but not quite the same is the Perfect Seal PS6, which is quite good for $650. As far as the SM3 vs. the S-EM6, it is like pitting a good but not great high school athlete vs. a pro. The S-EM6 makes the SM3 sound quite bad IMO. Sure, the signature isn’t the same, as it is more spacious, but due to the higher performance, it is more enveloping and involving. 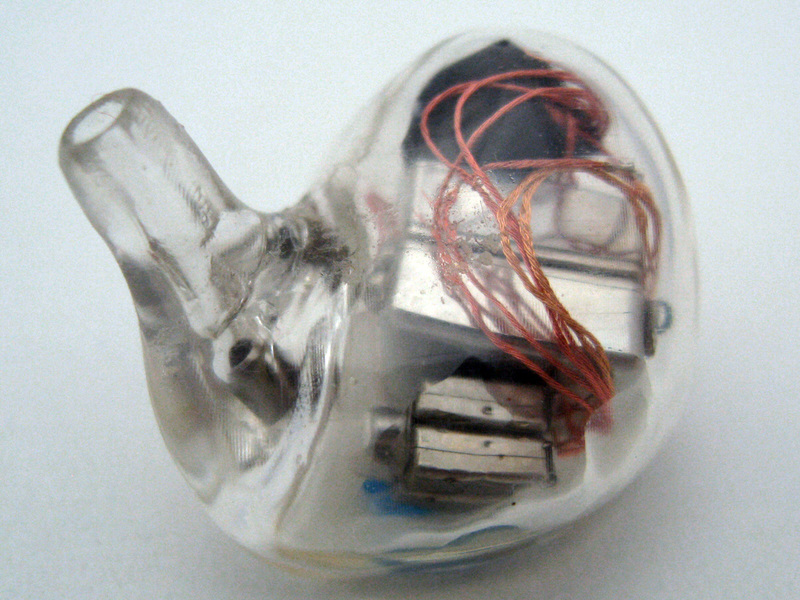 And one more thing I’d like to add is – have you encountered any other IEM with a similar enveloping presentation to the SM3. That is something that really appeals to me and the change from that is why I never considered the SM64 in the past. Is the S-EM6 similar in that regard? And what are your thoughts individually on the 846 and TG334 and how would you describe them in comparison to the SM3 and the S-EM6? Thanks again. 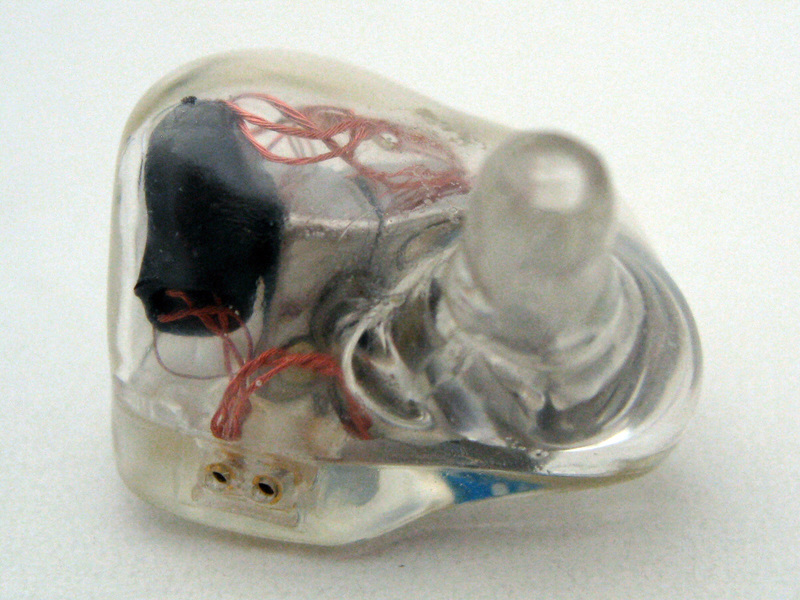 The Westone UM3X is similar but different. The differences to my ears are that the UM3X has a much smaller overall soundstage size, but there is much debate about that comparison. The UM3X also has a bit different tonal balance, and it is usually a one-or-the-other type love-hate relationship. Once you get above a certain level, many of my collection of CIEMs becomes very enveloping, but they still don’t have the same midrange qualities of the S-EM6. Some examples of enveloping CIEMs include the Rhines Custom Monitors Stage 3, Spiral Ear SE 5-way Reference, Fit Ear PS-5, and M-Fidelity SA-43. Another is the Custom Art Music One, and the Harmony 8 might have a similar sound signature, but I haven’t heard it. As far as the 846 and 334 v the EarSonics, I do have the 334 compared with the S-EM6 on page 2 of this review. The 846 is good but different, and doesn’t quite stand up to the S-EM6 IMO. Thank you for the replies. I did indeed miss that there was a second page to this review, checking it out now. I would say the S-EM6 is your best bet, especially since it is the top-performing universal I have heard in addition to having the sound signature you are looking for. So I took your advice and decided to do this step by step. Just picked up the DX50 and will get the S-EM6 in a couple of months time. Thanks for the help. Sounds like a plan. Let me know your thoughts when each component arrives, especially the S-EM6. That is a whole new level compared with the SM3! Would you give the same score to DX50 when it paired with SM64? SM64 with DX50 = 7? Thanks for the question. I have added the Fiio X3 and iBasso DX50 to the SM64 review here. It is close, but doesn’t quite make it to 7.